Today we are here with a new stuff that will help you to use bloom popup without using any opt-in. In this article, we are going to show, how we can achieve this by using bloom popup. 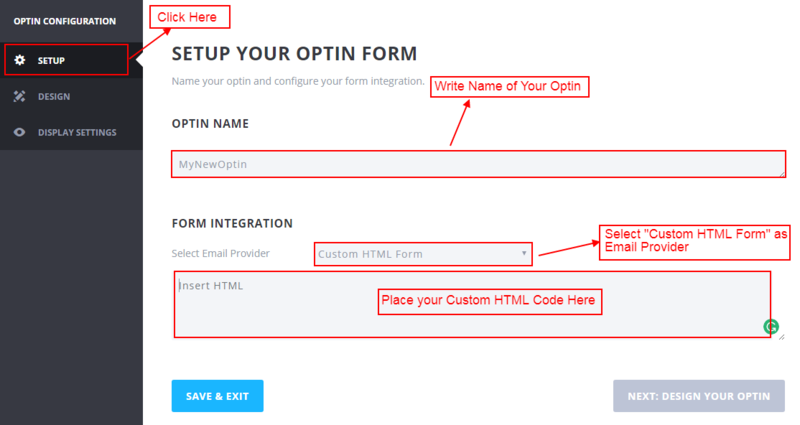 Firstly we need to click on bloom and then on “Optin Forms”, then click on “New Optin” option and in the “New Optin” we can select any of the opt-in for the given optins. For example, we are going to select Pop-up opt-in. 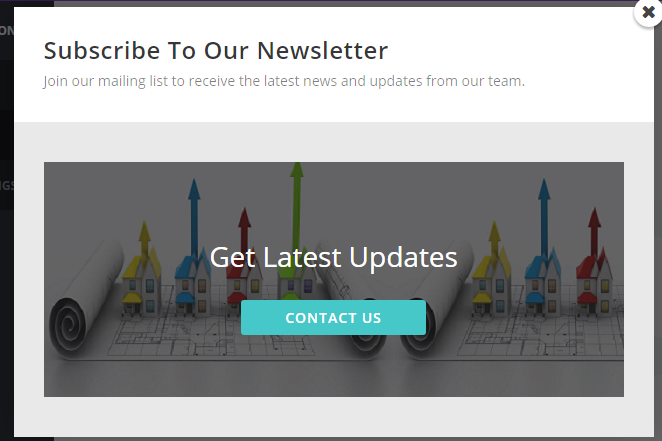 Now click on “Select Email Provider” and from the drop-down please select the “Custom HTML Form” option and after selecting the “Custom HTML Form” in the dropdown next field will be “Insert HTML”. Place the below HTML code into this field. Please don’t forget to insert the Image URL and Page URL in place of the “Place your Image URL” and “Please Place the Page URL” in the above HTML code, where the Image URL is the background image and Page URL is the URL of the page we want to redirect after clicking on the button. You can also replace the above HTML code with any other HTML code of your choice. Now moving to “Design section”, in this section we can design and setup the form appearance according to our need. Once the above process is completed then the form will look like as shown in the below image. Thanks for this very useful customisation of the Bloom plugin. Please can you tell me what html code I could add to automatically remove the Optin popup after clicking on the button “contact us”? Hi, thank you so much for this helpful tutorial! I only miss one thing : the picture size to put in! My pictures measures 1280×216 and it is way too big. Thank you in advance for your help! I personally always become irritated with pop-ups though. So I would prefer to lead potential subscribers towards my double-optin form at my email marketing provider with something similar as a call to action module (but then in Bloom obviously, to be able to place the API key). Wondering where to start and how to implement this exactly. Suggestions?